Featured Retail Skincare-Vie Collection-Highly effective prestige cosmeceutical skincare. - Spa Advisors, Inc. 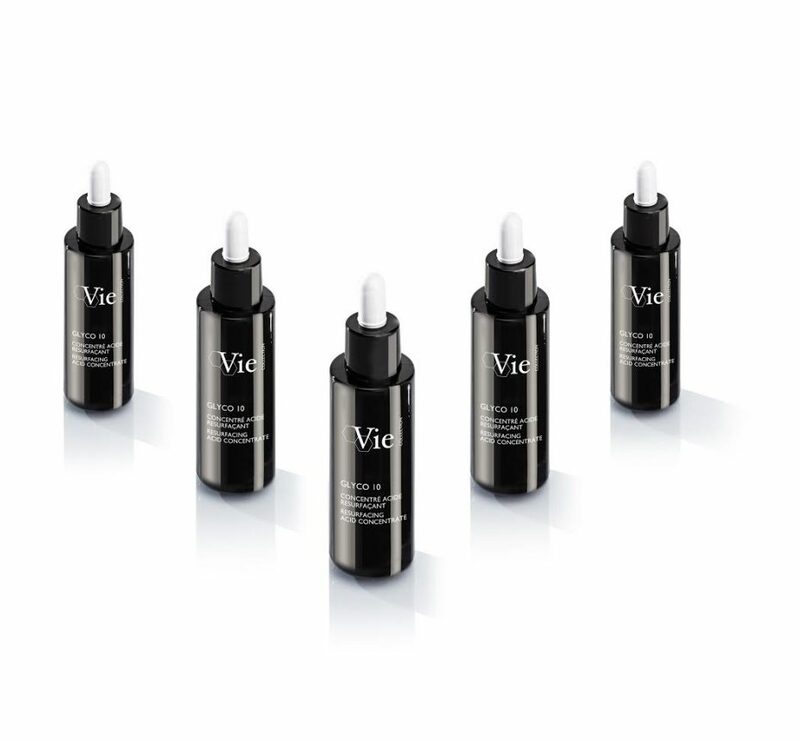 Featured Retail Skincare-Vie Collection-Highly effective prestige cosmeceutical skincare. Spa Advisors, Inc. values a prestige skincare line. When looking to enter the arena of prestige skincare, the Vie Collection is a must-shop. This product line is one of the most effective lines in the world. The line is comprehensive, exclusive and so results-oriented that your most savvy spa guests will appreciate the line and be back time and time again! Every product in the line stands on its own. Their eye products and serums are truly amazing. From cleansers to night creams and from whitening products to peels, nothing about this line is weak. Before you select your prestige line, call them. Opening orders are affordable and, they have representatives in most key markets. You will find them at the ISPA Conference in Las Vegas in October, 2017. Before then, contact them at the number below. You will be directed to your local area representatives for a demo and additional information. You cannot go wrong checking them out! Vie Collection draws inspiration from esthetic medicine and cosmeceuticals with anti-aging as the main goal of our professional treatment protocols and skin care products. Vie Collection’s scientific team works in close collaboration with an esthetic doctor to develop high-tech, anti-aging solutions that use benchmark active agents and innovative ingredients as the forefront of cosmetic science. Vie Collection is a brand dedicated to professionals and can be found in an array of facilities ranging from medical spas, doctor’s offices and high-end spa properties. As a cosmeceutical expert in the spa industry, Vie Collection is a high performance, high-end skin care line focused on bridging the gap between traditional cosmetics and esthetic medicine. We are one of few spa brands with our own laboratory which allows us to always be on the cutting-edge of scientific progress in cosmetics. With esthetic medicine as a source of inspiration, we offer in-spa solutions for clients that seek effective, results oriented, non-invasive treatment alternatives to fight the negative visible signs of aging. How long have you been in business? What inspired you to develop this brand? What sets your company apart of the competitors in your category Do you offer different brands or classifications of products? For almost two decades, Vie Collection has been a leader in advanced anti-aging skin care solutions. The first Vie Collection product was developed in 1999 as a premiere product within the Phytomer line before becoming an entire skin care brand. The scientific team that developed Vie Collection used their extensive experience, world-class laboratory and leading esthetic ingredients to form the brand known today as Vie Collection. Vie Collection is not limited to just one star ingredient. The laboratory selects and combines the most powerful benchmark ingredients used in esthetic medicine. Using optimal concentrations, they are combined with molecules at the forefront of anti-aging research and are complements to the top esthetic treatments including: BOTOX® injections, hyaluronic acid injections, peels, microdermabrasion, mesotherapy and laser/LED treatments. Our Chrono Eyes – Puffiness, Dark Circles, Wrinkles Cream is our top seller. Other top sellers are: Vita C – Concerntrated Solution Chrono Lines – Ultra Smoothing Cream Instant Cleansing Milk Mesoforce – Hydra Revitalizing Cream Also, many spas and consumers love our serums such as Vita C (mentioned above), Time Control Deep Wrinkles EGF Serum, Glyco 10 Resurfacing Acid Concentrate, Concentrate de Vie Youth Elixir and Re-Dermist Skin Texture and Pore Serum. Our new Wrinkle Dimension Hyaluronic Acid Concentrate has also been a big hit. The Vie Collection scientific team works in close collaboration with an esthetic doctor. Together they develop high-tech anti-aging solutions. The goal: to effectively minimize the visible signs of skin aging thanks to benchmark active agents and innovative ingredients used in professional concentrations. The result: products and treatments at the forefront of cosmetic science that guarantee visible and proven effectiveness on the youth of the skin. Dermocosmetic expert in salons and spas, Vie Collection offers products with optimum sensoriality. Sophisticated treatment protocols give priority to the expert movements of beauty professionals. Exclusive, enhanced massages deliver strong results from the first treatment and combine technical expertise, efficacy and profitability. Do you have a list of selling points for spa and salon staff members? Are you open to retail contests to incent spa and salon staff members? Selling points: Original protocols inspired by esthetic medicine procedures Highly concentrated benchmark cosmeceutical ingredients (AHAs, Vitamin C, Hyaluronic Acid, Lightening/Glabridin, Antoxidants/Coenzyme Q10, peptides, growth factors) Scientifically proven in vitro and in vivo anti-aging results Sophisticated formulas Excellent training opportunities at our training center, in spa training, retail product knowledge training. POS support (samples, brochures, signage, etc) In field support through our nationally based sales staff. Yes, we love to incentive spa staff members through gratis sampling programs and contests featuring prizes, trips and additional training! Advanced, thorough training of Vie Collection’s brand, products and treatments is key. If professionals understand the brand, they can then educate their clients, making selling natural and easy. Selling through education. We have a handbook we use in retail trainings to help walk service providers through keys to successful selling. It is also a good practice to have a standard and always leave 3-4 products out to recommend to the guest (with order of priority in case they do have a budget). Often it’s the mindset people have about “selling” that obstructs their success; negative perceptions about “salespeople”. Sometimes the service provider needs to get out of their own way and not approach sales as a negative. The client can feel if they are uncomfortable or insecure in recommending or promoting products. If it comes across as the service provider seeming apologetic or like the product isn’t worth it, likely the client will pick up on that. Don’t judge the pocket book of your client. Offer what you have and the client can make the choice of what they will spend.